Berberian Sound Studio is an unusual thriller with a very striking atmosphere. Set amidst the production of a 1970s Italian horror production, it is definitely informed stylistically by giallo films, but also bears strong resemblances to David Lynch, early Roman Polanski and certain efforts from Ingmar Bergman that hinged on horror and the psychological. 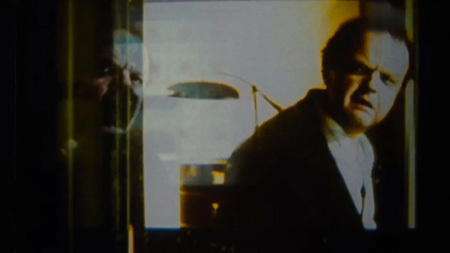 Crucially, however, its allusions to other cinematic trappings do not create a derivative impression; Peter Strickland’s confounding sophomore effort has a unique feel all of its own. In a central scene of Magic Mike, Channing Tatum’s protagonist converses with a bank officer, wanting to be granted a small business loan. Mike not only strip-dances at a club called Xquisite but also co-owns the place and balances its books, and additionally manages two construction businesses. Now aged thirty, his dream is to start his own custom furniture company, and he has been waiting for the banks to offer competitive loans that he can use to get started. With all his operations dealing exclusively in cash, Mike finds his credit ratings undesirable to get his dream started. The scene intriguingly begins with the female bank officer curiously jovial and excited in a nervous way, a demeanour that diminishes into uneasiness once Mike reveals his briefcase of saved-up cash and makes it clear that he really is there for a loan application. There is a suggestion that the officer perhaps recognises Mike from his Xquisite job, and possibly thought he had been hired to appear in her office by co-workers. Once the realisation of his real intentions hits, the employee is unable to respond to Mike’s hopeful discussions about his plans without a visible sense of unease; she finds it hard to find his ambitions plausible and to take him entirely seriously. Though the loan application is rejected due to Mike’s credit rating, the bank officer – with no intention to offend – suggests to him that they have programs for people in his situation who may be “in distress”. Read the rest of this entry ? I was recently contacted to write some programme notes for Glasgow Film Theatre, for their screenings of Bart Layton’s The Imposter. Circumstance meant I was unfortunately a little too late to reply to their offer before someone else took up the job, but I decided to produce some programme notes for the film regardless, just for the sake of practice. This is what I came up with. Over three years after a child’s 1994 disappearance in San Antonio, Texas, a seemingly traumatised young man found in a phone booth in Spain claimed to be the missing boy. Nicholas Barclay, a blue-eyed, blonde thirteen year old American now had brown eyes, dark hair dyed blonde, an inescapable French accent, less pale skin, and looked much older than sixteen. When circumstances led authorities to believe him after an ambiguously articulated tale, the Barclay family was contacted and Nicholas’ sister travelled to Spain to meet him. Claiming to have escaped from a child prostitution ring where he was tortured, this Nicholas was an imposter, but somehow got by on a series of lies with relatively little question. Sister Carey was convinced this really was Nicholas, changed after abuse that supposedly included physical alterations and punishment upon any speaking of his native tongue, and after arriving in Texas, the imposter was also accepted by Nicholas Barclay’s mother and most of his immediate family. Upon his eventual reveal as a fraud, the press at the time nicknamed the man as “The Chameleon”, and Bart Layton’s documentary The Imposter depicts the stranger than fiction tale in an enthralling fashion that doesn’t just rely on the key events of its baffling true story for potency. Read the rest of this entry ? This was written for The Skinny, but below the link is an expanded version of my review for them. Also available in The Skinny’s August 2012 print edition. In 1997, over three years after a child’s disappearance in San Antonio, Texas, a seemingly traumatised teenager found in a phone booth in Spain claimed to be the missing boy. When circumstances led authorities to believe him after an ambiguously articulated tale, he was returned to his family through his sister flying to Spain to identify and collect him. Nicholas Barclay, a blue-eyed, blonde thirteen year old American now had brown eyes, dark hair dyed blonde, a French accent, less pale skin, and looked much older than sixteen. Claiming to have escaped from a child prostitution ring where he was tortured, this Nicholas was an imposter, but was somehow still accepted by the family without question. Read the rest of this entry ? As several films I reviewed at the 2012 installment of the Edinburgh International Film Festival are now being released in numerous territories worldwide, the next few weeks, and indeed months, shall see a reposting of my reviews of such films as The Imposter, Lawless, Pusher, Berberian Sound Studio and others. This review contains some narrative spoilers. There is a memorable moment in the third act of Brave in which three male suitors for protagonist Princess Merida speak on their own behalf in agreement with her argument that people should choose who they marry, that the younger generation should be allowed to find their own path. In this moment of outspokenness, these characters, which have up to this point been one-note caricatures, emerge with a semblance of multiple dimensions, and the standard loner protagonist finds she is not the only sensible person in her world. She is part of a community. Amidst many of Brave’s more generic elements, this is a development that proves especially enjoyable. Read the rest of this entry ? You are currently browsing the Read Write Hand blog archives for August, 2012.